Home » Lean » Why Bother With a Value Stream Map? Why Bother With a Value Stream Map? 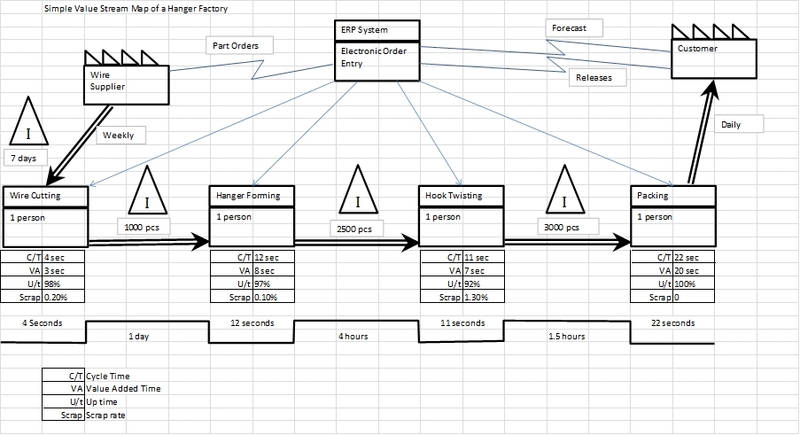 A value stream map helps you visualize what is really happening in the process. 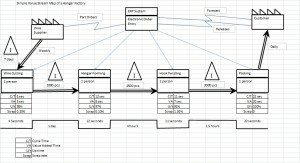 It is an overview, but at a glance, allows you to see the non-value added time in each major process step (cycle time, up time, output), the waste between steps in the WIP (work in process), and maybe even some missing information flow. “Learning to See ” is considered the primary reference book by many for really getting into the heart of value stream mapping.